Slowly but surely, Adobe has been improving its library of Android applications. 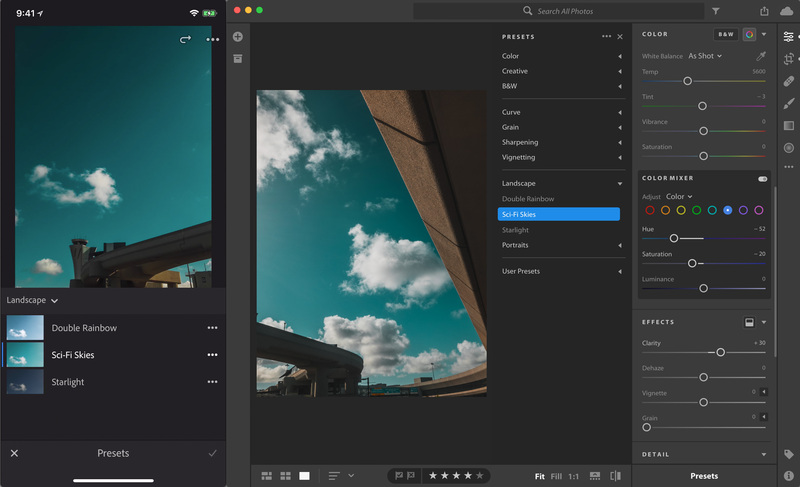 The Lightroom app finally gained a tablet UI last year, and now receives regular updates to match the desktop application. Today, Adobe is releasing another update for Lightroom, along with a brand new app - Spark Post. A new update for Lightroom CC, which should start rolling out soon, adds the ability to sync presets and profiles (both custom-created and third-party ones) across all your devices. That includes Lightroom for Windows, Mac, iOS, and Android. There are other improvements as well, like built-in guided tutorials. 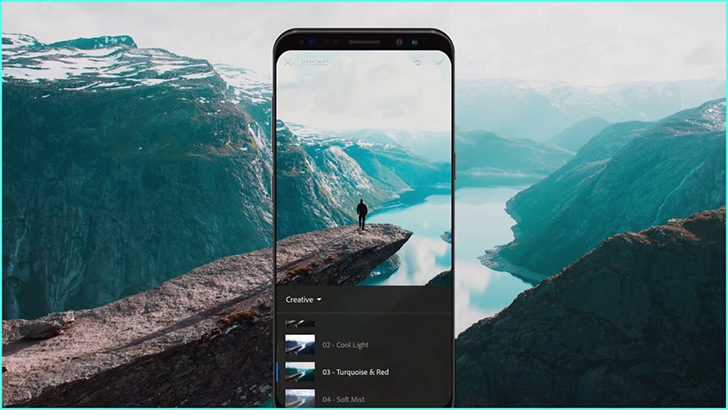 Adobe Spark is the company's suite of storytelling applications, including 'Page,' 'Post,' and 'Video.' 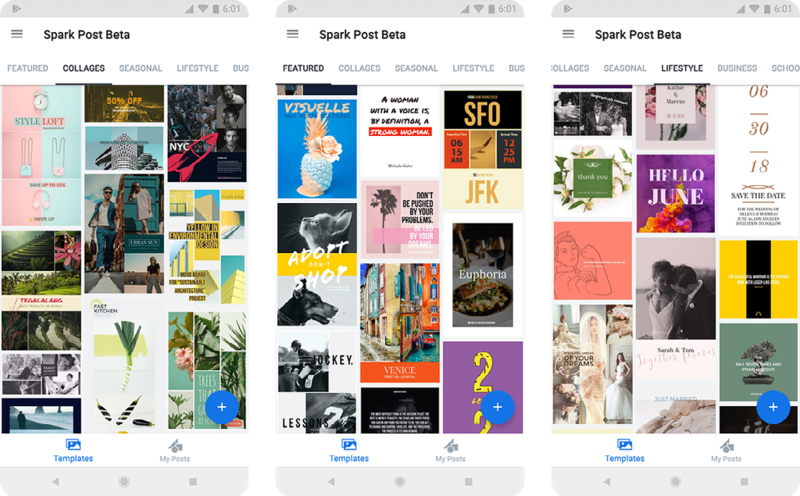 None of those have been available for Android, but a public beta has been released for Spark Post. The app can create collages, flyers, and social posts based on a set of templates. The Android beta release has almost all the features of the web and iOS apps. 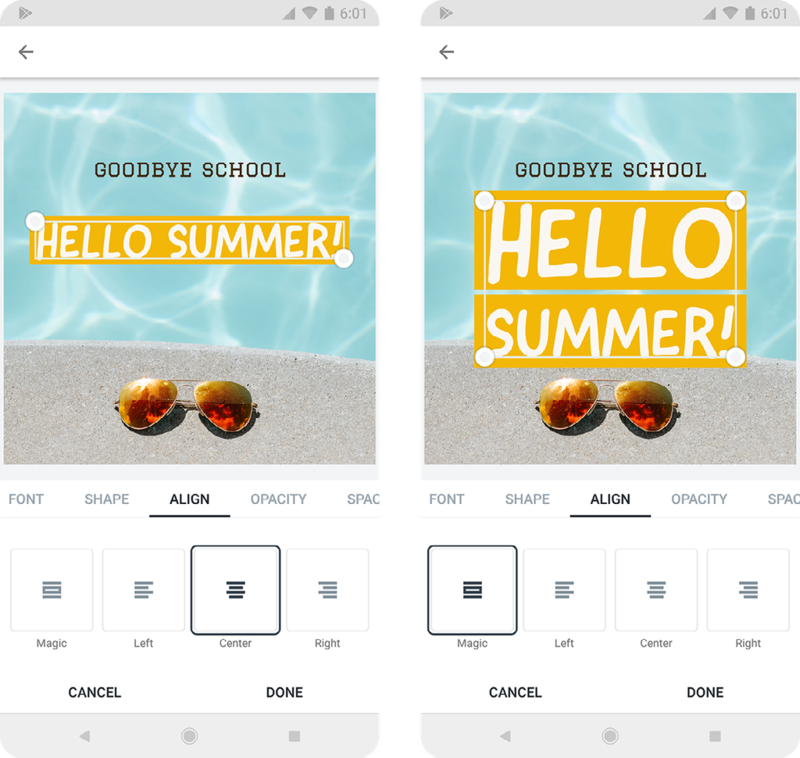 Adobe plans to add animation/text effects, a hex color picker, Adobe Stock integration, custom size options, and more in the future. The app will also eventually have paid features, like the ability to add your own logo, fonts, and branded templates. Finally, Adobe XD (the company's UI design application) now has improvements to viewing, support for overlays and fixed elements, shared prototypes and design specs, and more. It's worth noting that the Android app is strictly for testing designs.